Poyer finished the 2018 season with 100 combined tackles, 2.0 sacks, six passes defensed, four interceptions, one forced fumble and one fumble recovery. Analysis: The Buffalo defense wasn't the reason the team didn't make the playoffs, and Poyer played a major part in the team finishing as the NFL's top-ranked pass defense. 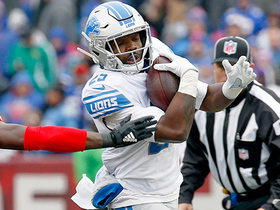 His stats were almost a mirror image of his 2017 breakout season, so there's no reason the numbers won't continue with fellow safety Micah Hyde, top cornerback Tre'Davious White and defensive coordinator Leslie Frazier all part of the plan once again next season. Poyer finished ninth in standard IDP scoring among all safeties. Poyer had seven tackles (four solo), a sack and an interception in Sunday's loss to the Patriots. Analysis: Poyer has strung together back-to-back quality efforts, as he also reached 11 tackles in Week 15 against the Lions. The 27-year-old has 91 tackles (66 solo), four interceptions, two sacks and a forced fumble as the Bills' starting free safety this year. Poyer recorded 11 tackles (10 solo) across 57 defensive snaps in Sunday's win over the Lions. Analysis: Poyer recorded a new game-high tackle count for the season, bringing his total to 84 tackles on the year. The safety has played in 99 percent of the Bills' defensive snaps this season. Poyer posted 11 tackles while playing all 57 defensive snaps in Sunday's win over the Lions. Analysis: Poyer has a shot at his first 100-tackle season if he can get just 16 more in his last two games, excellent production for a safety. He sits eighth among all safeties in IDP scoring of one point per tackle, three for a sack and five for an interception. 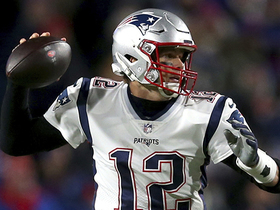 He should be his usual busy self as the Bills finish up their schedule with two divisional games, Sunday at New England and home against Miami in Week 17. Poyer recorded 10 tackles (nine solo) and an interception in Sunday's win over Jacksonville. Analysis: Poyer's 10 tackles led the team in Week 12. He's now up to three interceptions and 62 tackles on the year. His numbers have dropped a bit from last year but he's still been a consistent, quality player for Buffalo. Poyer and the Bills will look to add to their two-game win streak in Sunday's Week 13 matchup with Miami. 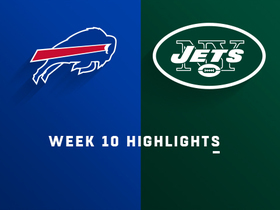 Poyer recorded six tackles (three solo), including a sack, in Sunday's 41-10 win over the Jets. Analysis: Poyer's sack was his first of the season and the fourth of his career. His six tackles were also his most since Week 4. Buffalo's big win was a bit of a surprise but it will look to maintain the positive momentum as long as it can. Looking ahead, Poyer and the Bills will take on the Jaguars in Week 12 following a Week 11 bye. Poyer played all 66 defensive snaps during Buffalo's 37-5 loss to the Colts. Analysis: Poyer logged five total tackles during the contest. The 27-year-old played 100 percent of Buffalo's defensive snaps for the second consecutive week, and he appears in line for another heavy workload at free safety during next Monday night's game against the Patriots. Poyer recorded five tackles (four solo), an interception and a pass defensed across 61 defensive snaps in Sunday's loss to the Texans. Analysis: Poyer secured his second interception of the season Sunday, picking off Deshaun Watson in the end zone just before halftime. 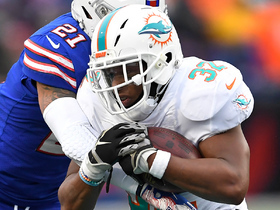 The 27-year-old continues to log a heavy workload at free safety, as he played in 100 percent of the Bills' defensive snaps Sunday. Poyer recorded six tackles (four solo) and an interception in Sunday's 22-0 loss to Green Bay. Analysis: While Sunday was a rough showing for Buffalo overall, Poyer played well. His interception was made more impressive by the fact that it was the first Aaron Rodgers has thrown on the season. Poyer will look to stifle a Titans offense in Week 5 that is coming off a walk-off overtime touchdown against the Eagles. 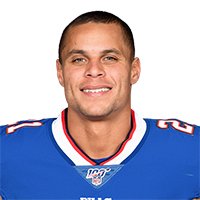 Poyer posted career highs across the board in 2017, his first season in Buffalo, with 95 tackles, two sacks, 13 passes defensed, five interceptions and a fumble recovery. Analysis: Now that's some serious production the Bills (and IDP owners) received after signing Poyer as a free agent following three seasons from Cleveland. His numbers put him second among all safeties in IDP production, and with Poyer locked into a starting spot with the same defense and same coaching staff next season, he'll be a high pick when defensive players start getting selected. Poyer had six tackles (two solo) and an interception return for a touchdown in Sunday's 37-16 loss to New England. 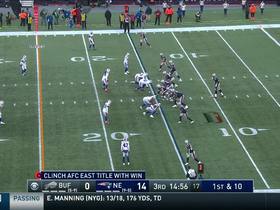 Analysis: Poyer made a diving play on a Tom Brady ball deep in Patriots territory and then got up untouched and took it to the house for his first score of the season. He'll remain a top safety in IDP formats Week 17 against Miami. Poyer recorded six tackles (four solo), two pass defensed and one interception in Sunday's win over the Dolphins. Analysis: Poyer tied a season-high with 75 defensive snaps Sunday and recorded his first interception since Week 5. He now has 87 tackles (61 solo) through 13 games this season, which is easily a career-high. He'll look to add to his season-total Sunday against the Patriots. Poyer made 10 tackles (five solo) in Sunday's loss to the Patriots. Analysis: This is the fourth time in 2017 that Poyer has posted double-digit tackles. However, his inconsistencies can be troubling, since Poyer also has five games with five or fewer tackles as well. Therefore, even though the fifth-year pro often plays every defensive snap, he can be a risky IDP option. Poyer logged 11 tackles (eight solo) and two passes defended in Sunday's loss to the Chargers. Analysis: It was the second time this season Poyer has tallied 11 tackles, while the eight solo is a season high. He was one of two Bills players to play in every defensive snap. The 26-year-old figures to remain heavily involved on defense as the season progresses. Poyer had 10 tackles (seven solo) in Sunday's matchup with the Saints. Analysis: This is Poyer's second double-digit performance of the season, but he doesn't have any other games with over seven tackles. The fifth-year safety has already posted a career-high 50 tackles this season, which averages out to just over six tackles per game. Poyer, who missed one game due to a knee injury, returned for Thursday's game against the Jets and logged seven tackles, including one for a loss. 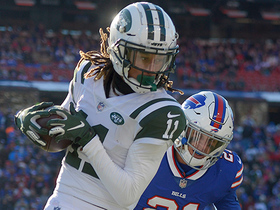 Analysis: Poyer and the defense played lousy as the Jets shredded the Bills for 34 points, but he continues to be a nice IDP to own, with 40 tackles, seven passes defensed, two interceptions and a fumble recovery through seven games played. He should be close to full health with an extra three days of rest heading into Sunday's game against the Saints. The Bills have listed Poyer (knee) as active for Thursday's tilt versus the Jets. Analysis: Poyer was able to fully participate in Wednesday's practice after being limited earlier int he week, rendering his active designation unsurprising. 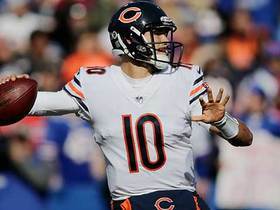 He is returning from a one-game absence, and assuming does not suffer any setbacks, should take on his usual workload. Poyer (knee) is listed as questionable for Thursday's game against the Jets. Analysis: Poyer was upgraded to a full participant in Wednesday's practice after opening the week with two limited sessions, creating optimism that he'll be able to return from a one-game absence in Week 9. With 5.5 tackles per game and a pair of sacks and interceptions over six contests, Poyer is in the midst of the best season of his six-year career and has emerged as an intriguing asset in IDP settings. 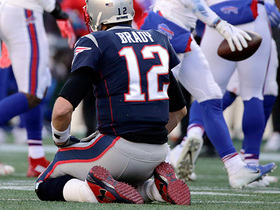 Buffalo Bills safety Jordan Poyer joins a group of teammates to take down New England Patriots quarterback Tom Brady for a loss. 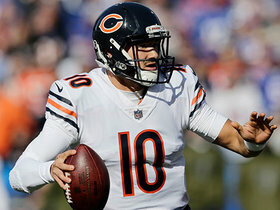 Chicago Bears quarterback Mitchell Trubisky connects with tight end Trey Burton for a 26-yard gain.